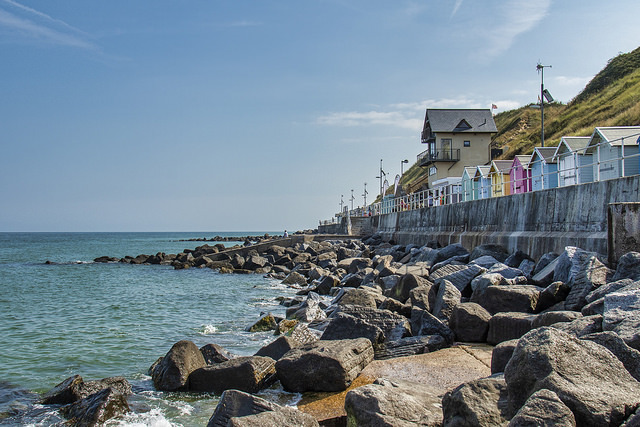 From the smart Victorian seaside resort of Sheringham to the Georgian town of Holt, the North Norfolk Railway runs through the county’s most stunning coastal scenery. Operated almost entirely by Volunteers from all walks of life, the line is East Anglia’s premier heritage railway. *See Timetables for additional services and exceptions. Please note that all train services and attractions are subject to amendment or cancellation without notice. The NNR cannot be held responsible for any inconvenience or disappointment caused. 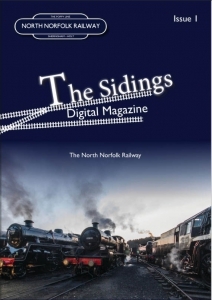 Have you read our new digital magazine, ‘Sidings’? Due to a steam loco failure, today's services will be both steam and diesel hauled. Steam Departs Sheringham at 11.20, 13.00 & 14.40. 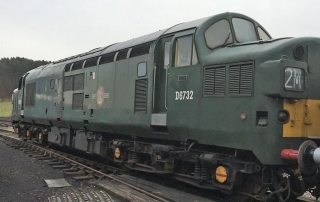 Our newly returned Home Fleet Resident Class 37 will be in operation today. Take part in the trail and meet the Easter bunny. Pick up your free trail from ticket offices at Sheringham, Weybourne and Holt. The Easter Bunny will be at Weybourne between 10.30 - 3.30 daily until Monday 22nd April. A must if you love steam trains! If we had been in the area for more than a day and a half, we would probably have spent the whole day on the railway and made even better use of our rover tickets. The staff / volunteers were friendly and helpful, both the trains we went on were pulled by steam and the timetable allowed us time to walk the mile and a quarter from Holt station into the town itself for lunch. Thoroughly recommended! Charming and Authentic! We went from Holt to Sheringham. The Railway strikes a great balance between being very well kept and having a great variety of rolling stock on view. We had a Black Prince locomotive pulling period carriages that were in excellent condition. The stations’ signage and information were exemplary. The staff were excellent. They were friendly and knowledgeable. If rail travel was always like this we would do it all the time! 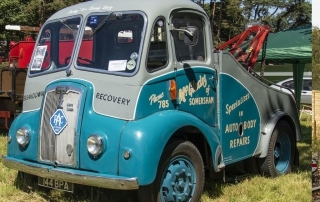 40’s Weekend – In Sheringham with a group of friends to enjoy the 1940’s weekend. This is a regular September event which gets better and bigger each year. The main centre for the 40’s revival is the train station and the enjoyable ride from Sheringham to Holt. All the staff add to the occasion with their smartness and most helpful attitude. 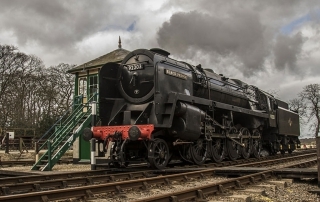 Excellent day out – I thought this was an excellent example of an old railway line brought to life. The trains were beautifully restored; there were plenty of carriages to cope with the number of visitors; there was lots to do at each station. I was really impressed with the enthusiasm and knowledge of the staff (volunteers?) at all the sites. You got the feeling that this was something they were doing out of love. Rail Treat! – We visited the railway on the vintage transport weekend. The presentation of the carriages was outstanding, particularly the vintage and quad-art sets. The quality of the restoration work was first class and the seats were comfortable for the journey between Sheringham and Holt. There were over 30 motor cycles and scooters at Sheringham, a fine selection of Morris Minor and 1000 cars at Weybourne and a field full of cars, three wheelers, lorries and buses at Holt! On a sunny May Bank Holiday weekend we decided to check out the North Norfolk Railway. They were running a special ‘Thomas the Tank Engine’ theme over the weekend which is great for kids. We took a steam train from Holt to Sheringham – wandered round Sheringham and then a steam train back to Holt. What a great day out! We came to The Mixed Traffic event. Lots of really friendly, helpful staff on platforms and trains. Certainly a lot of trains were running, and very frequently. We went up and down the line and although there were a lot of visitors, there was plenty of room on the trains. We went into the buffet, at Weybourne to get lunch. Very nice choice of sandwiches, with, again, friendly staff. The book and magazine stall, here, was excellent. A great day out, and well worth it. Really enjoyed this steam train ride from Sheringham to Holt. It was a special Dads Army weekend with fantastic guys playing the characters from the TV program Dads Army on the platform. The uniforms and humour were spot on. The whole experience from buying our tickets, riding on the train and chatting to the volunteer who manned the model train railway at Holt Station was fantastic. 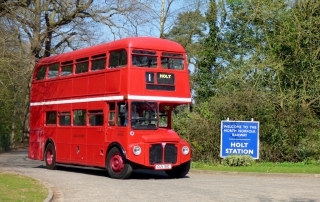 One thing to mention though .. when you arrive at Holt it is a 1 1/4 mile walk to Holt town! So we decided as a visit to Norfolk we would visit the poppy line with our 2 year old who is Thomas mad. We parked at the Holt station and bought rover tickets to Sherringham. All the volunteers where enthusiastic and where very helpful and knowledgeable about the railway and trains. The journey is absolute awesome and would recommend to anyone. We thought we would would only be a few hours. How wrong we were, we were there all day! What can I say, we love it! The first time I took a ride on a lovely sunny day, I was completely blown away by the countryside the railway runs through. It’s almost a caricature of what you think of when you think of a country railway line – rolling fields, views of the sea, there’s even a windmill at one point! The stations have been beautifully restored and each one has something interesting to look at. A great day out for the whole family.